Every police officer’s dream? 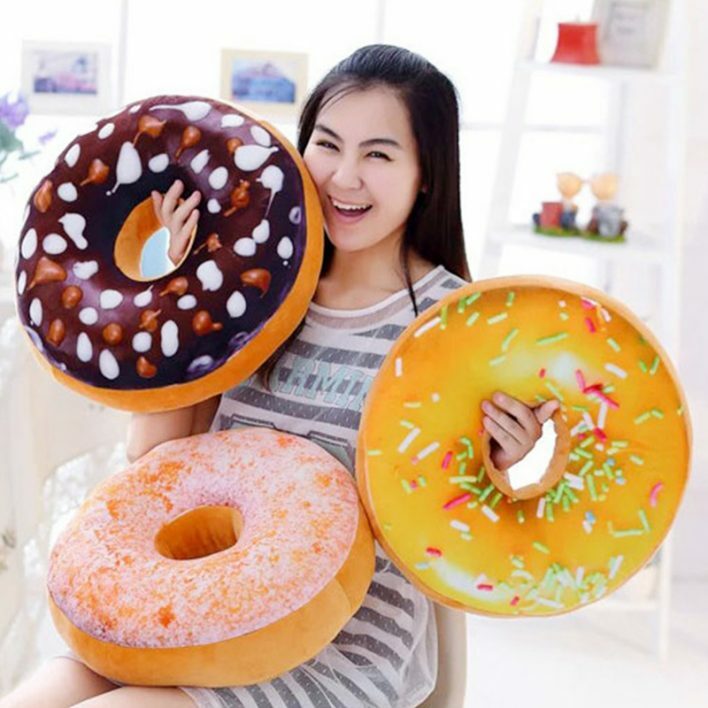 The donut pillow is not only soft, but also something for the eye. It may not be suitable for losing weight, but hey, the winter is here, and you can also get an appetite or treat yourself to something. You can even choose the glaze for these plush donuts. AliExpress has 12 different models to choose from, so whether you like icing sugar, chocolate sprinkles or other colourful glazes on your pastry, you’ll find them. Donuts can make so happy. At 40x40cm, the cushions are large enough to be used as a seat pad, but of course they also look good on the sofa. They are filled with PP cotton. The covers cannot be removed and are also not machine washable, so when munching real donuts – cuddled up in the new cushions – you should not spill them.